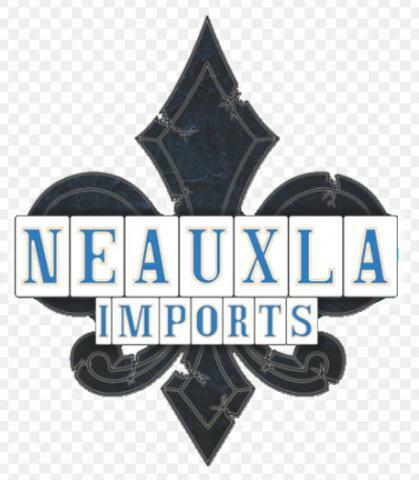 Neauxla Imports, located in Kenner and serving the entire metro New Orleans area, announces recent improvements to parking and a planned showroom expansion to house more inventory. Their subtle smile is quite revealing. When asked about current and pending growth,both owners Fred Caro and David Gentry have a quite confidence that underscores their excitement. There’s good reason to be excited about the future at Neauxla Imports (see corporate website: https://www.neauxla-imports.com) , as the wheels of progress continue to turn. Suppliers of beautiful slabs of natural stone, their impressive inventory of granite, marble, quartz and quartzite, are ready to be custom cut to create the countertop surface for the kitchen renovation you’ve dreamed about. Soon, selecting the perfect stone will be greatly enhanced as plans are currently drawn to expand the showroom in order to accommodate an even greater selection of new imports from other exotic regions. In a matter of months, new containers full of stone are set to arrive from across the ocean. “Business has been great. We’ve expanded our footprint, and our customer base, now it’s time to expand our selection and our physical presence,” said co-owner Fred Caro. Making the process easier from top to bottom is important to the owners of Neauxla Imports and it shows in the way they have steadily grown since their inception 3 short years ago. The locally owned and operated stone supplier clearly recognizes the value that comes with stellar service and clear communication. Selecting the right stone is not a decision to be made lightly. Careful consideration to a number of factors must be part of the decision. Type is of course but one. Color as it will be in your home is of course quite another. For some indecisiveness can be debilitating. This need not be the case. When asked to summarize his philosophy, Fred was quite enthusiastic when saying,”Selecting the right stone can certainly be overwhelming for some. We hope to simplify the process and alleviate any stress by offering a friendly environment with experienced people that can empathize with a customer’s needs and budget. It is our belief that we can remove the commonly held stereotype that natural stone is too expensive. We are confident that we have a solution for anyone interested in upgrading their counter surfaces to a more elegant and useful material.” It’s that belief that is quickly making Neauxla Imports the premier stone supplier of choice. The expansion underway is a big step in their ongoing mission to provide excellent service and high quality offerings to even more. The team at Neauxla Imports welcomes all comers to their Kenner showroom.